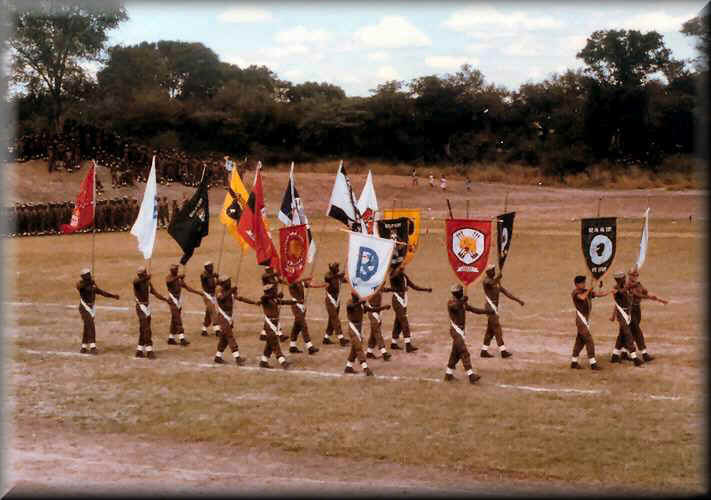 From 1978 SWAPO adopted the tactic of "hugging the belt" by placing their camps next to those of their Angolan and Cuban allies in the forlorn hope that this would deter the South African Defence Force from attacking them. 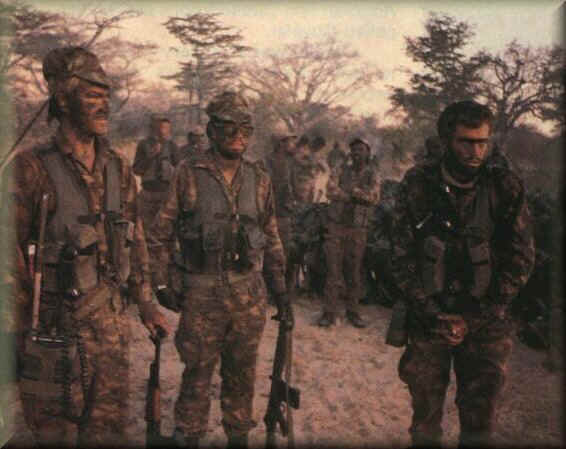 SWAPO quickly found out that this tactic did not work, when the SADF attacked and FAPLA and the Cubans got involved, South Africa would take them on as well, and invariably got the better of them. 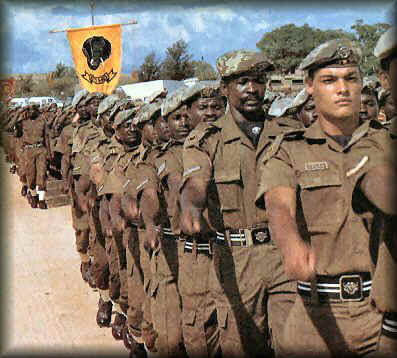 The overriding concern of the South African Military was to minimise South African losses, and 32 Battalion was admirably suited to achieve this aim, as almost 95% of its members were Angolan. 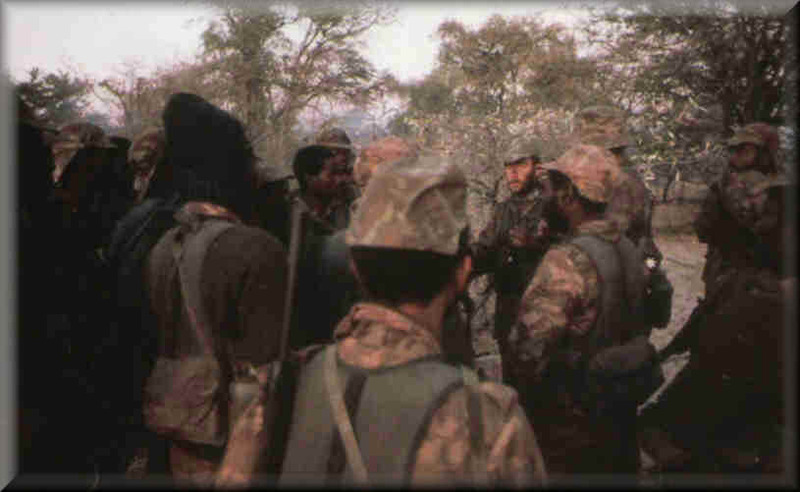 Unita received most of the credit for operations that 32 undertook against FAPLA in Angola. 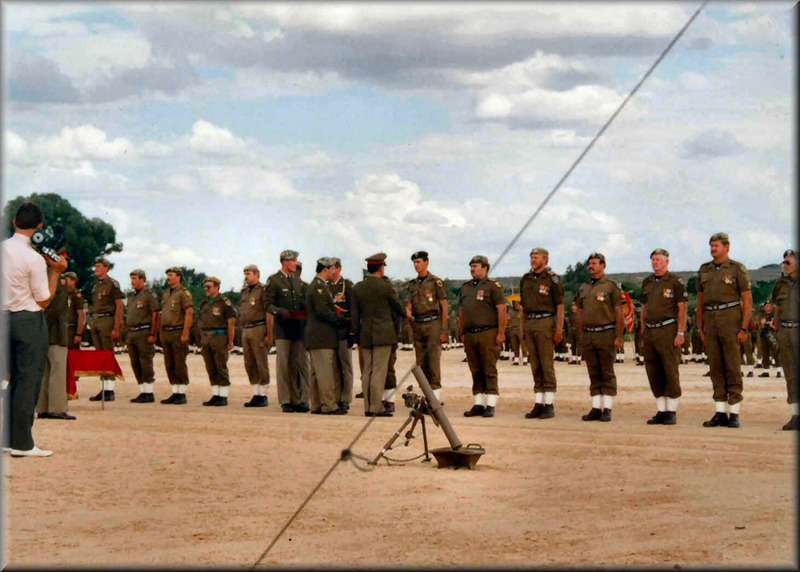 Most of its operations were conducted in close cooperation with South African Reconnaissance Commandos, and it is no idle boast that 32 Battalion was the finest light infantry force in Africa if not the world in its time. 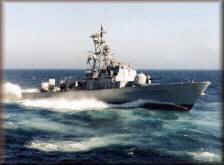 In every contact it was in it had to punch way over its weight, every time the opposition came off second best , initially a contact rarely lasted more than a day, sometimes it would be a case of shoot and scoot, but once the externals started, these would drag out, culminating in those on the Lomba River, and Cuito Cuanavale, which were full scale conventional set piece battles. 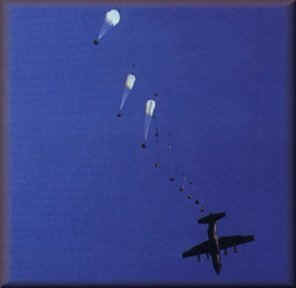 A lot of intell igence was gleaned as a result of intercepted enemy radio traffic, and in some cases members of Reco nnaissance Commandos would check this out, insertion behind enemy lines took many forms, from dropping a two man team by helicopter, in many cases the distances involved would doing this would be that great that fuel dumps for the insertion had to established hundreds of kilometres behind the front line, it was no easy task to man these forward air bases waiting for the Choppers to return , knowing that if you were compromised there would be very little one could do except to bombshell and try to make it back to South African lines. 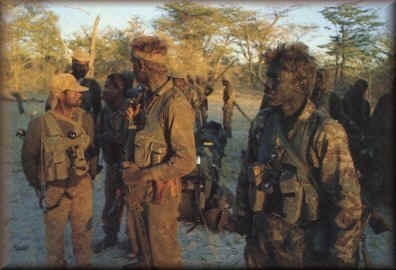 It soon became apparent that 32 would be an asset in the gathering of intelligence, it was relatively simple for a platoon using counter-tracking to sneak in and out of SWAPO's backyard without being spotted, but a platoon did not pack sufficient fire-power to engage a company sized force, when the SADF deployed company and battalion sized forces SWAPO's outlying security platoons would invariably detect them, giving SWAPO chance to prepare for an attack without the SADF being aware where SWAPO exactly was. 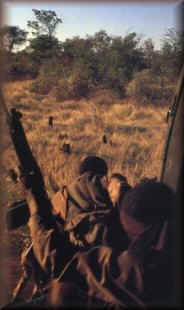 Initially 32 experimented with placing a patrol well ahead of the main body in the hope that they would bump the enemy and flee towards the main force in simulated panic, drawing the SWAPO force into an ambush situation, this practise had mixed results, as SWAPO would not rise to the bait, being well aware of the larger force following. 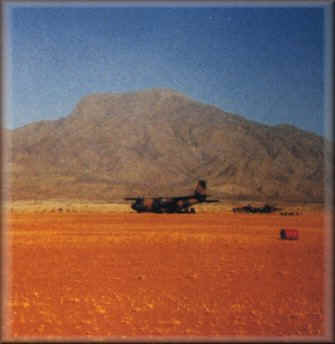 A reconnaissance wing was created and training took place under the legendary Staff Sergeant "Blue" Kelly who arrived towards the end of 1977, together with Ron Gregory at a base situated at Omauni. 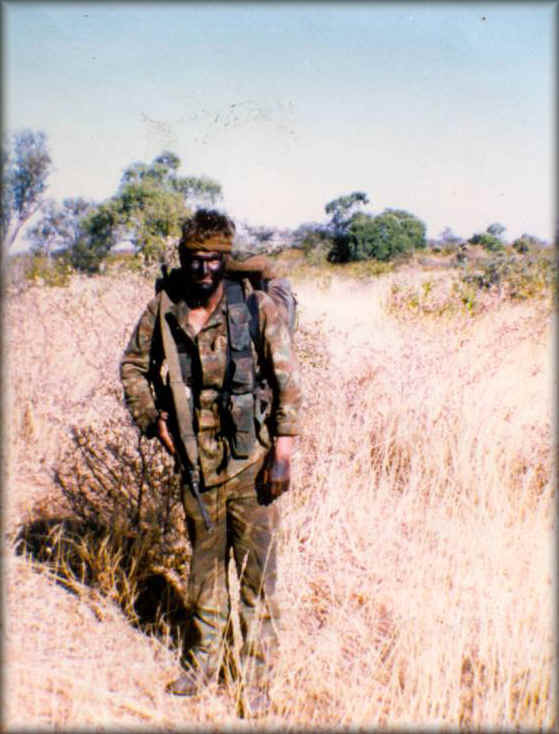 Sergeant Major Pep Van Zyl initially helped with the selection in the first few days.Blue Kelly later moved on to Special Forces and had a distinguished career in the this unit. 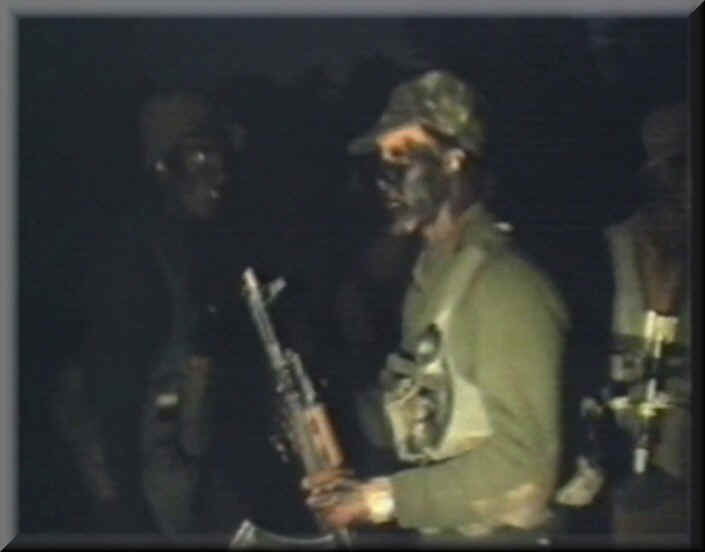 Training was based on Special Forces training with the emphasis on small unit tactics, a typical team would consist of three to five men, dressed in SWAPO kit, and armed with PKM and RPD machine guns, this to give them a edge in fire-power to compensate for their lack of numbers. All white members would "black" up as SWAPO would invariably concentrate their fire on the white members of any patrol they would encounter, knowing that these normally would be the leaders. Special emphasis would be given to demolitions, tracking, advanced medical aid, bush craft, navigation, fire control, small boat handling, especially canoeing, all would be small arms experts and jump qualified. 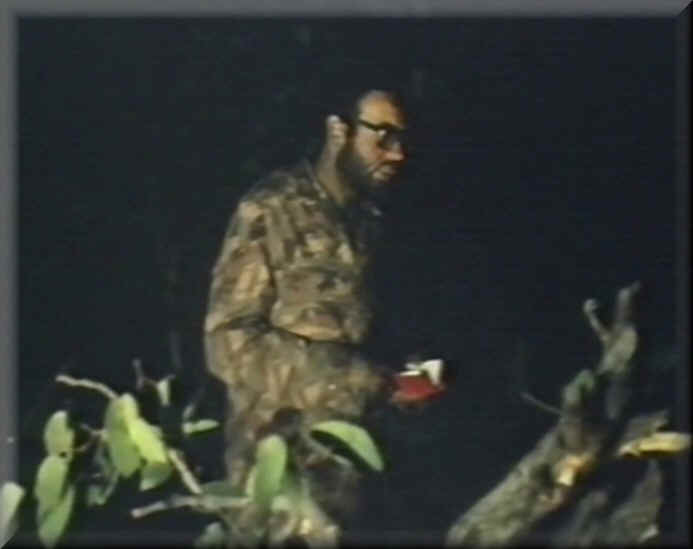 One of those who excelled in this dark art was Willem Rätte, on one recce of a SWAPO base he and his companions cold-bloodedly entered the base when darkness fell, only to discover that the base was being partially vacated, and equipment was being packed in trucks for removal. The three calmly helped dismantle the 14,5 mm weapons and move them to their new positions away from the base. 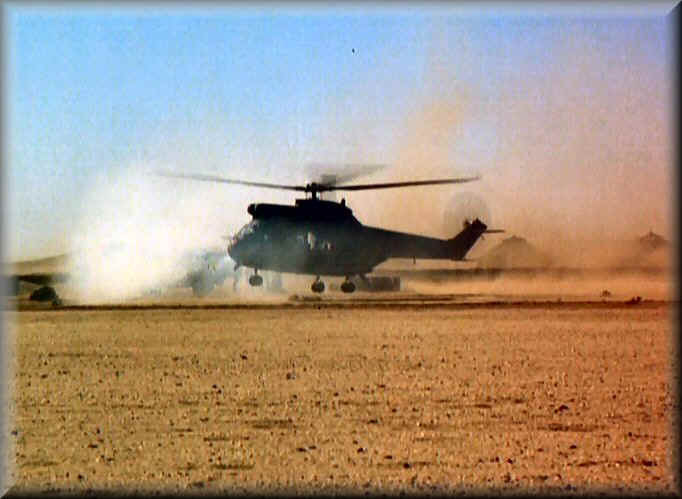 Swapo expected an attack, and wanted the weapons in place to ambush the Puma troop-carrying helicopters of the South African Air Force when they came the next morning. After slipping silently away he radioed headquarters and informed them of the situation. 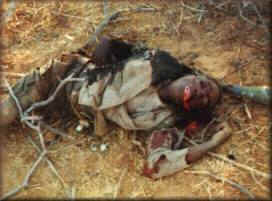 The next morning the Swapo base was destroyed in a successful operation, thanks to his timely warning. He later commanded the intelligence section of 32 Battalion. To say the least, he was unorthodox and eccentric. He was a perfectionist who would let nothing and nobody interfere with a well-planned operation. 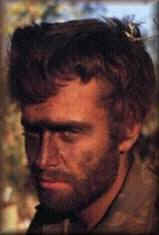 32 Battalion had the distinction of capturing the only Soviet advisor during the Border War, during Operation Protea, 3 companies of 32 under the command of Commandant James Hills formed part of a stopper group east of Ongiva (formerly Perrier D'Eca), Lieutenant Tinus van Staden spotted a large convoy consisting of BRDM's, tanks and trucks moving towards him from Ongiva. 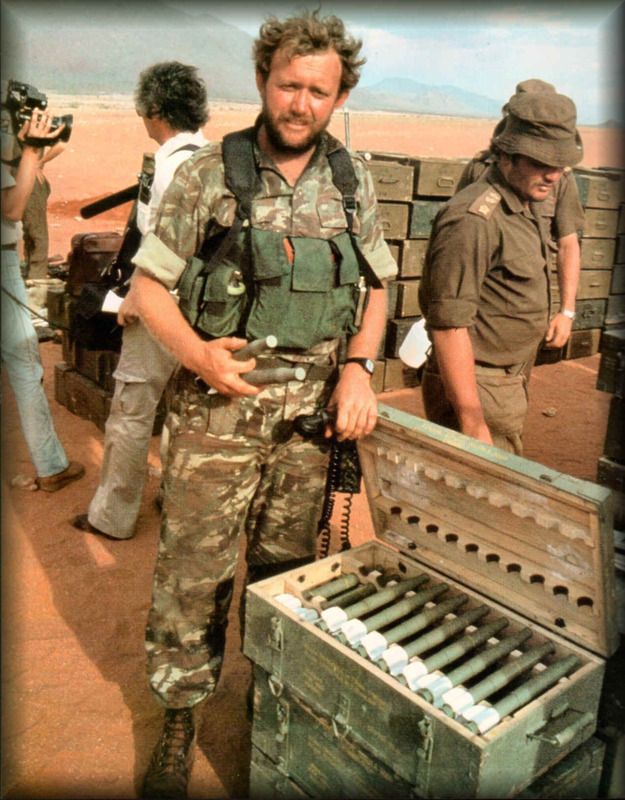 He immediately called for an air strike, and the SAAF Mirages and Impalas roared in soon afterwards, leaving a graveyard of shot out vehicles burning and smoking behind them. 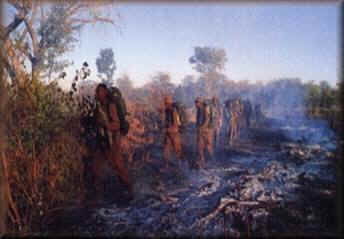 By the time 32 moved up to sweep the area, it was getting dark, and the 32 soldiers were somewhat surprised to find the bodies of people dressed in Russian uniforms in and amongst the carnage wrought by the air strike, continuing their sweep towards a kraal they were fired upon, immediately the fire was returned and the kraal over run. 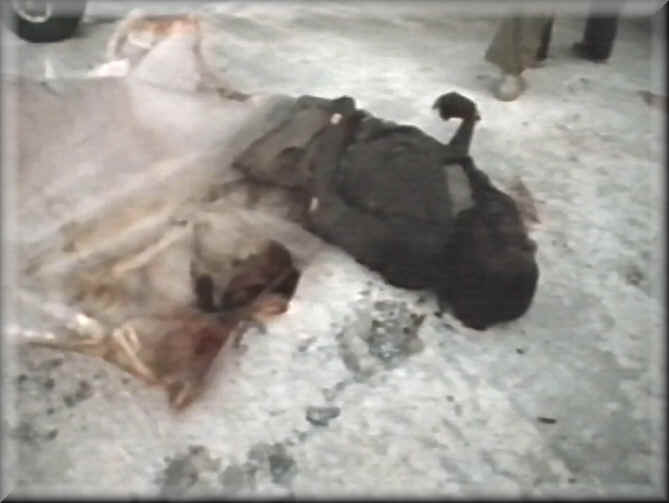 To their utter amazement they found several more dead Russians amongst them two women, to one side an unwounded Russian Warrant Officer was cradling the body of his dead wife in his arms and weeping, he had been employed as a mechanic at Ongiva. One of the tragedies of wartime played itself out when it was discovered that some of the dead Russians had their children with them, South African Troops immediately organised search parties, and for several days scoured the countryside looking for these children, to no avail, questioning of the local population produced no results, and reluctantly the South African Forces had to abandon the search, and leave the children to their fate. 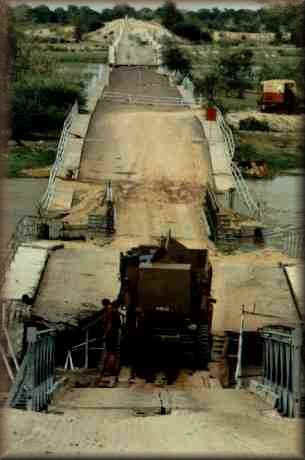 During Operation Protea the Recces dropped the bridge at Xangongo, this would make an attack on Cahama by FAPLA well nigh impossible along the west bank of Cunene, the only worry the SADF would have would be the east bank which was supposedly secured by UNITA, 32 was tasked with clearing the enemy from Calueque to beyond Peu-Peu; one company would operate from Calueque to Humbe, and then to Peu-Peu, notwithstanding UNITA's assurance that the east bank was secure, it was decided that another company would operate on the east bank of the Cunene. 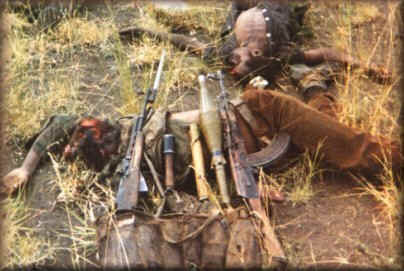 The company operating from Calueque employing butterfly ops quickly killed a lot of badly trained SWAPO auxiliaries, but did not have any luck finding SWAPO bases, and laid up one night south of the Xangongo-Humbe road, the following day the group was ambushed by FAPLA who soon retreated. 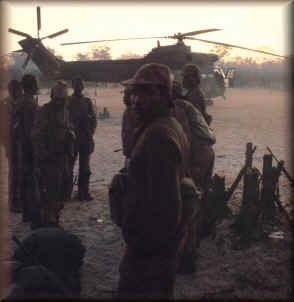 The Angolan hierarchy decided that this situation was intolerable and decided that they would attack the South African TAC HQ at Peu-Peu, the first thing the SADF knew was when a patrol reported a FAPLA battle group less than 3 kilometres away, between them the only force was a rifle company of 32 and a couple of 81mm mortars, Captain Jan Hougaardt quickly decided to open fire on the FAPLA force with these, rightly assuming that this would delay the enemy long enough to get the SAAF to rescue them, he was correct in his assumption and before long the Impala jets stationed at Ondangwa arrived at the scene and proceeded to rocket and strafe the FAPLA column, at the end of the day more than forty wrecked enemy vehicles littered the Angolan countryside. Those FAPLA troops who survived retreated on foot to the north or to Cahama. Later on a similar advance from Cahama was attempted by FAPLA, but this time the South Africans would be prepared and this attack on Xangongo, like its predecessor would be stopped cold. 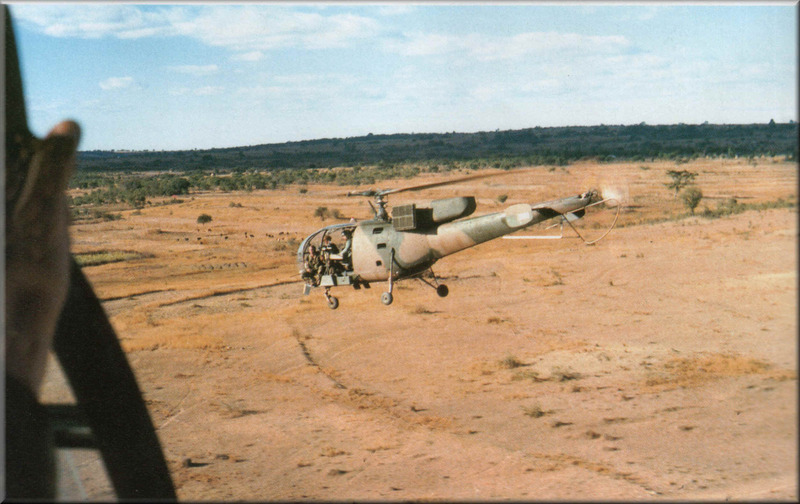 One of the most successful strikes against SWAPO took place during March 1982, 32 had been asked to support a reconnaissance mission that 5 Recce had been tasked with, as most of 32 had been rotated back to Buffalo after 3 months non stop patrolling and fighting, the best that Jan Hougaardt at TAC HQ at Ruacana could was to scrape a platoon together and this motley crew flew out to Marienfluss in the Kaokoveld. The Recce team leader had received intelligence that there might be a possible SWAPO presence in the Cambeno valley close to an abandoned Portuguese settlement called Iona. The 32 troops were only geared up to assist the Recce team if this should be necessary, nobody anticipated that this would turn out to be the start of a battle of epic proportions. 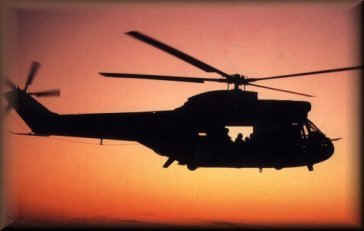 In addition to the two Puma Choppers that had brought the 32 platoon, two gunships had flown in with Neall Ellis. 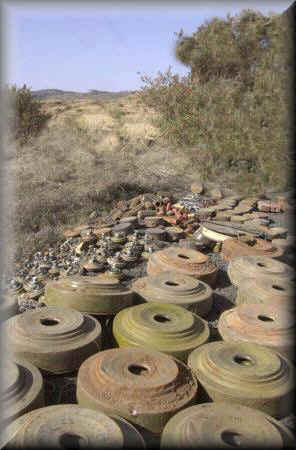 The Recces were dropped east of the point where the road entered the mountains, and quickly ascertained that there was considerable road traffic, and this could only be SWAPO logistical vehicles, a nd the Recces planted a TM 62 anti-tank mine, and retired to a koppie about a kilometre away keeping the site of the landmine under observation. 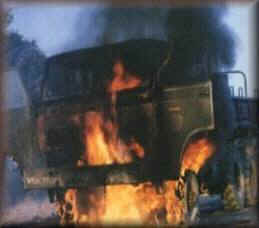 A while later two SWAPO trucks came down the road, and one detonated the mine, but it did ot seem to cause any casualties, the survivors simply climbed on to the remaining truck, and this drove off. 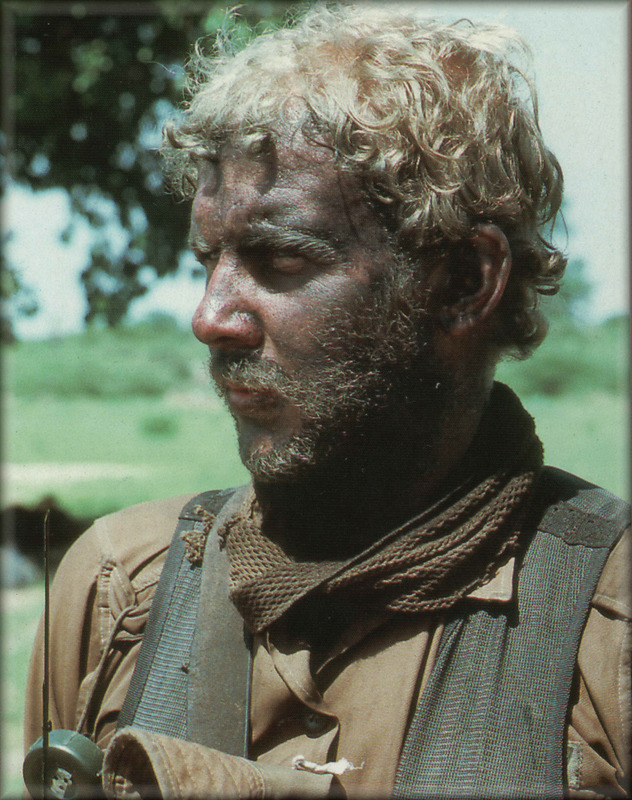 Later on that afternoon a 28 men strong SWAPO patrol approached from the east, and once they reached the site of the mined truck, started casting around for spoor, unfortunately the Recces' anti-tracking measures were not sufficient, and it soon became apparent that the SWAPO patrol had found the South Africans' tracks and were following these towards where the Recces were lying up, the Recces contacted TAC HQ at Marienfluss informing them that they were compromised, and would require assistance, as there was no means they could get away undetected. 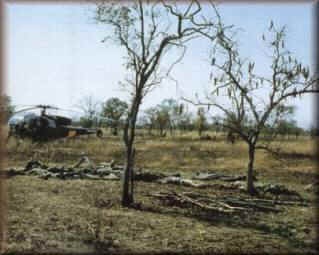 As they approached the target area the task force flew into a thunderstorm which reduced visibility to nil, and reluctantly they had to turn back, back at Sector 10 HQ it was decided to scrub the whole plan as the choppers had been close enough for SWAPO to have heard them, the consensus was that by now the camp would have been evacuated, fortunately Jan Hougaardt insisted that SWAPO had not done so, the trail watchers he had positioned on the track north had reported no SWAPO activity along this, finally Sector 10 HQ agreed that an attack could be mounted the following day, 13 March 1982. 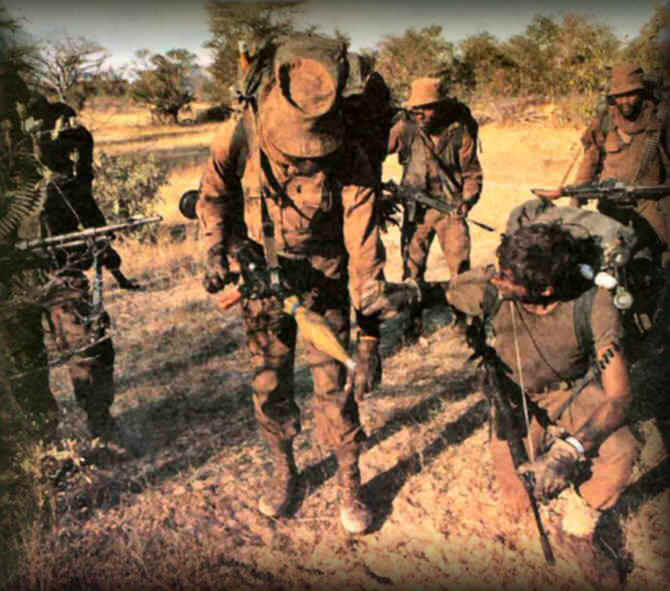 To even the odds the Pumas went and picked up the trail watchers who numbered 20 and brought them back, these stopper groups were d ropped on the high ground to block all escape routes, these groups would wreak havoc amongst those SWAPO who decided to gap it. 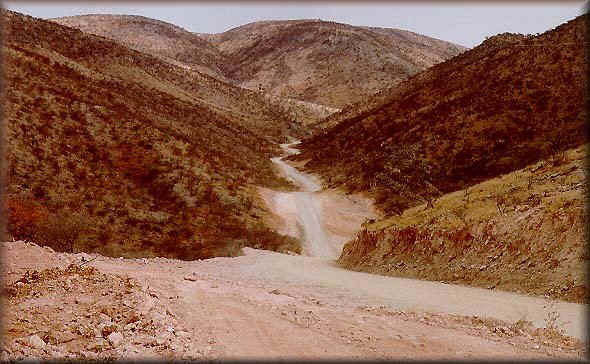 The terrain was a nightmare, rugged with rocks, valleys, cliff faces, do ngas, a soldier's nightmare. 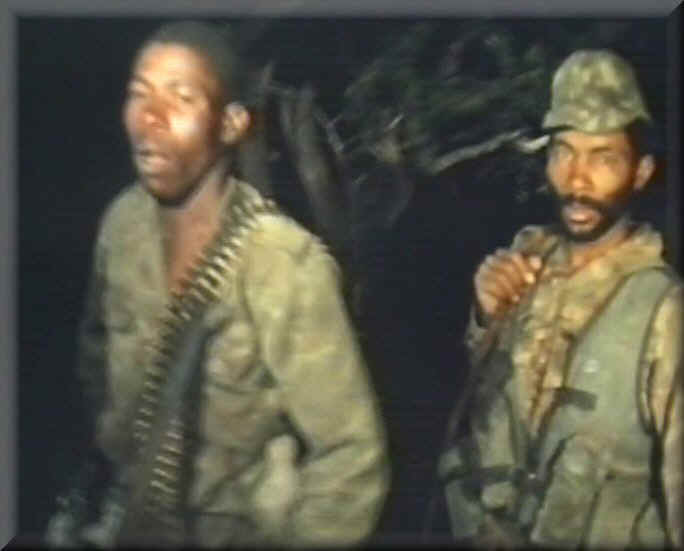 As 32 advanced they were constantly under intense small-arms fire, every yard gained was in the teeth of determined resistance, there was no doubting SWAPO's willingness to stand and fight. The action started at 08H00 and by 13H00 it was still going as fiercely as ever, the two protagonists slogging it out, bloody fire fights scattered along the assault line as 32 kept up its remorseless advance. 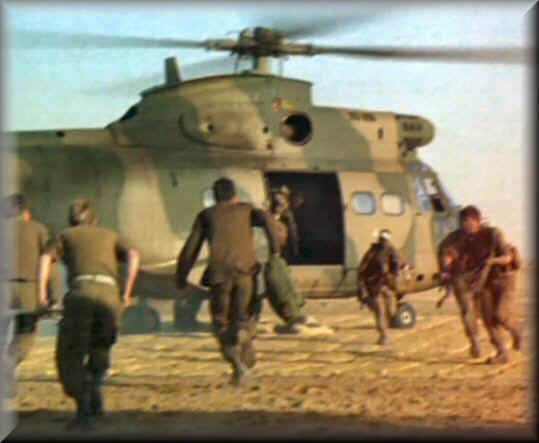 Whenever the gunships opened fire with their 20mm cannon it was the unenviable task of the 32 Battalion soldier to reach down and fight in the crevices and crannies where SWAPO would take cover from the gunships .The Allouette's were constantly under RPG-7 rocket fire, and at least 4 SAM-7 were fired at them, fortunately they were to low for the infra-red guided warhead to lock onto their exhaust signature. 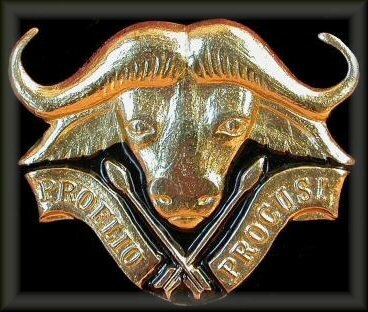 32 lost 3 men KIA, and an unknown number of wounded, 3 Honoris Crux were awarded to its members, another 2 to members of the SAAF. 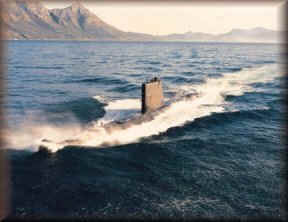 When the base was examined the following morning the South Africans could not believe their eyes, it was a virtual Aladdin's cave with tons upon tons of weapons, equipment and food.